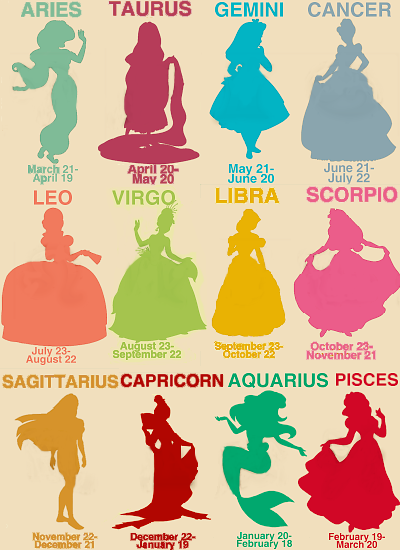 Disney Princesses Zodiac Signs. . Wallpaper and background images in the Princesses Disney club tagged: disney princess disney princesses. Correct me if I'm wrong, but I think this is a repost. Yeah, I though someone posted this recently . . .
Yeah, this was posted already. And in the comments, they explained the personality traits. I forgot about this. 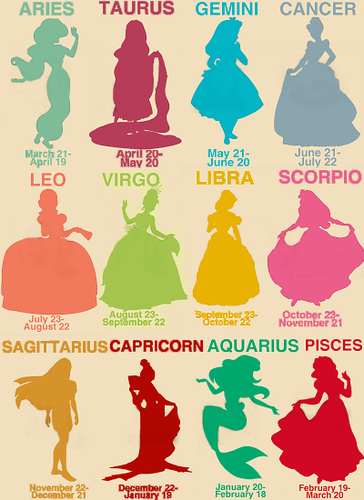 Belle for me. Not bad. It looks like you just copied the image I made for my tumblr and switched the signs around...? ?